With flexi working and co-working spaces on the rise, our approach to the office is changing increasingly people need the option to work on the go, wherever they are. 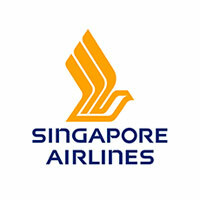 Singapore Airlines is on a mission to help them, both on the ground and 30,000 feet above it. Travellers flying Business or First Class with Singapore Airlines from London Heathrow can work, shower and dine in the new SilverKris Lounge in Terminal 2. The Lounge has been conceived by acclaimed architectural and interior design firm ONG&ONG. It exemplifies the airlines’ ‘home away from home’ design concept and equally provides an office away from the office, thanks to a series of flexible and dedicated spaces, from dining and living areas to bespoke productivity pods. Roving hosts are on hand to take care of passengers; First Class customers are treated to an at-seat service, including a choice of welcome drinks on arrival and a hot towel service that hints at the inflight pampering that awaits. The Lounge is home to Singapore Airlines’ new signature armchairs – designed for maximum comfort – plus private coves, exclusive to London. It’s important to keep energy levels up when you’re working – Heathrow’s SilverKris Lounge offers Business and First Class customers the very best food and drink. The airline’s familiar ‘taste of Singapore’ philosophy continues here, with freshly cooked dishes made from the finest ingredients. If you want to have a working breakfast, lunch or dinner, you are in the right place. The first class dining room features an á la carte menu plus a delicious afternoon tea, whilst both First and Business Class customers can enjoy a tasty selection of hot and cold dishes in the self-service buffet lounge. Our fully stocked bar, manned by a professional bar tender, is the perfect place to toast new deals and ventures with a cocktail or two, some premium wine, beer or spirits. Prefer coffee to cocktails? The Gallery area – home to specially curated art works, a self-service drinks-and-snacks area and a travel concierge facility, providing assistance with flights and seats – also has a Nespresso pod machine, helping passengers stay full of (coffee) beans around the clock. Lounge access is available for Business and First Class customers travelling with Singapore Airlines or another Star Alliance carrier. Passengers holding a PPS Club, KrisFlyer Elite Gold or Star Alliance Gold card are also very welcome and may bring an eligible guest. Things are just as exciting (and productive) onboard, thanks to Singapore Airlines’ enhanced connectivity. Fly Business or First Class and you can go online, Tweet or text from your mobile phone, tablet or laptop, even when you’re 30,000 feet above ground. Inflight connectivity is available on all five daily flights to Singapore from the UK (Airbus A380, A350 and progressively on the Boeing 777-300ER aircraft), including the new Manchester flight. To text inflight or use data roaming, your mobile service provider must have a roaming agreement with OnAir or AeroMobile (check roaming rates before you fly). Singapore Airlines has plenty of other inflight features designed to help you work onboard when you’re flying Business or First Class. Thanks to an in-seat telephone, passengers can make calls in the clouds; on the Airbus A380, Airbus 330-300 and Boeing 777-300ER aircraft, USB ports allow passengers to play music and scroll through photos with the USB media player and photo viewer. We know that comfort and convenience is key, whether you want to sit back and relax or work to meet your deadlines. As a Business Class passenger you can enjoy direct access to the aisle, no matter what seat you have opted for; plus you can also take advantage of the Book the Cook service, which allows you to preorder your favourite meal up to 24 hours before departure. Full table service and wine pairings add up to a restaurant-in-the-sky experience. Singapore Airlines’ Business Class offers the widest seat in its class, upholstered in leather and up to 34 inches wide. You can expect plenty of elbow room and stowage space, plus a seat that transforms into a fully flat bed when it’s time to turn in. Opt for Singapore Airlines’ New Business Class (available on B777-300ER flights) and enjoy a seat that reclines up to 132 degrees, featuring an improved ergonomic seat cushion. This seat can be used in two different comfy positions (Lazy Z or Sundeck); it’s also the industry’s widest full-flat bed when it’s converted (78 inches in length). You’ll get increased stowage space for laptops and other on-the-go essentials; additional features include an 18-inch LCD screen and video touch-screen handset, a floodlight reading light, LCD monitor on/off switch and all-in-one busosiness panel including in-seat power supply, USB port, eXport and HDMI ports. Fly Business or First Class with Singapore Airlines and you’ll never have to turn on your out of office again.